Round number 10 of the 2019 Monster Energy Supercross, an FIM World Championship, heads to Daytona Beach, Florida for the 2019 Daytona SX. 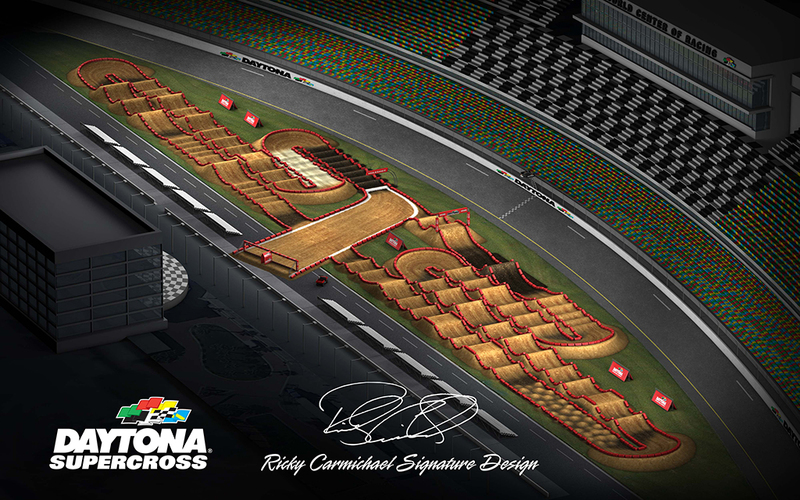 The Ricky Carmichael designed SX track has been tearing up the infield of the Daytona International Speedway since 1974 and dirt bikes with tear up the famed infield for the 45th time this upcoming weekend. The most grueling course on the circuit, DAYTONA’s unique layout and three types of dirt test the skill and endurance of every rider. This year’s course returns to a counter-clockwise direction and features two whoops sections, moguls and a Dragon’s Back! Check out the 2019 circuit below and you can click here to get your Daytona SX tickets.